Similar standoffs are occurring around the nation as Tesla’s way of doing business via factory owned salons flies in the face of a 105-year tradition – the Independent Dealer Network established in 1908. That’s the year the first Tin Lizzie rolled off a Ford assembly line, revolutionizing the manufacturing process, and also when a number of smaller automakers incorporated into an entity called General Motors. It was just about that time these two burgeoning automakers realized they had their hands too full just designing, engineering and fabricating automobiles to get involved with shipping, retailing, maintaining an inventory; selling, financing, taking trade-ins and all the other falderal involved in the automotive business. Consequently, the aforementioned Independent Dealer Network was established to deal with all these collateral aspects, leaving the automakers free to focus on what they are supposed to be good at – building cars for the market. Notably, between 1908 and 1918, the automakers made up the largest industry in the US. Many of them offered the only gasoline pumps in town as the fueling infrastructure for these new contraptions simply did not yet exist. By 1960, there were 60,000 of these independent dealers throughout the country. Today there are only a little over 17,000 and the cost of establishing a basic dealership showroom and lot has risen to over $17 million – a premium brand luxury outlet can run up to a $40 million outlay. This is intended to give you some idea of what Elon Musk and Tesla have taken on and why such legal obstacles are arising in Texas, Minnesota, Massachusetts and New York. So why is Elon Musk bucking this tradition? Despite the implied folly in such an approach, Musk is a rocket scientist, an area of endeavor where any little thing left to chance is likely to bite you on the behind. 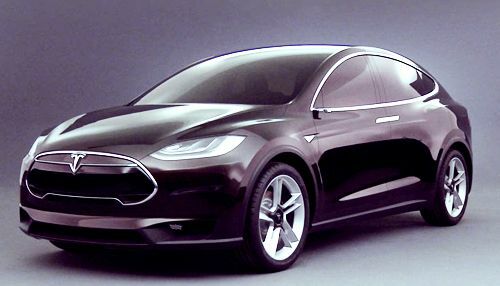 Plus, the Tesla S is as revolutionary today as the Model T was in its day. Like the first Fords, the infrastructure to support this new technology is not entirely in place; though it is much more prevalent than gasoline fueling stations were 100 years ago. Ford’s approach to building cars was revolutionary, making the horseless carriage affordable for the workingman, but the gasoline engine was nothing new or baffling – it had been around for over 30 years and anyone with a sufficient level of understanding could work on it. The Tesla S in a whole new animal and Elon Musk wants some yahoo mechanic fooling with it even less than you would want to take a Space Shuttle you planned to ride in to Grease Monkey for maintenance. Furthermore, the market forces of 1908 made it much easier to establish an automotive manufacturing company than it is in the era of Facebook, Twitter, CNN and Fox News. Since its inception, Tesla has walked a pubic relations tightrope – any failure to cultivate and maintain a positive public image could easily have made them the Milli Vanilli of automakers, while both a financial potential of mega-billions as well as the judgment of history hang in the balance. With so much invested thus far, and so much to gain or lose, is it any surprise Elon Musk so jealously tries to nurture and protect the future of his enterprise – especially given his involvement in the space industry – one that by its very nature attracts the most thoroughbred and pedigreed control freaks on the planet. It is equally understandable why the various Auto Dealer associations feel cheated by Tesla’s end run around the system they have created and nurtured for more than 100 years. Life is change, and though sometimes that process is so slow it is practically imperceptible, in the modern era, change is something you see happening in real time online, on a HD flatscreen or by simply looking out your window. Only time will reveal whether Elon Musk is as visionary and historically significant as Henry Ford, but the auto dealers should see that he and Tesla deserve their chance in the world of today. The dealers have plenty of vehicles and manufacturers to work with now and will for some time to come, so they should not be threatened by a company struggling to build 20,000 cars by year’s end, despite the fact he’s cutting them out of the loop. At the current level of production, hawking a product America is showing itself slow to adopt, the Texas Auto Dealers are making a mountain out of a molehill. Tesla is endeavoring to create something so new and empowering to society, it should be allowed to overlook 100-year-old traditions. If they find themselves producing vehicles by the millions like the largest automakers today, Tesla may find they also have their hands full just designing and building vehicles. The Tesla S is a self-mobile super computer as much as it is a car, in the traditional sense. If you computer breaks down, do you take it to Pep Boys or the best computer expert you can find for analysis?